With Election Day just hours away, we are seeing reports across the country that electronic voting machines are already inaccurately recording votes and questions are being raised about potential foreign interference after 2016. While the responsibility to deal with these issues falls to state election officials, here is a quick guide for how to respond to some issues on Election Day, along with a handy resource from our friends at Verified Voting indicating what equipment is used in each polling place across the nation. 866-OUR-VOTE: If you experience voter machine glitches, see voters being turned away from the poll, or run into other issues, report them to the nonpartisan Election Protection network. This is the only way that we can spot patterns, put pressure on election officials to respond and, in the long run, make the case for paper ballots and risk limiting audits. Since the first electronic voting machines were introduced, security experts have warned that they pose a risk of interference or simple malfunction that cannot be easily detected or corrected. If someone hacks the machines, they hack the vote. If the machines fail, the vote is wrong. The fix is clear: all elections must include paper backups and a settled-on process for real risk limiting audits. If voting machines are down, you should ask for an emergency paper ballot. Do not simply accept that you cannot vote—broken machines should not result in disenfranchisement. Call 866-OUR-VOTE and report the problem. Try to report as precisely as possible—which machine, what problem, what were you told by the election officials, etc. The Election Protection Coalition will then have the information they need to work with election officials, or, if necessary, go to court, to try to make sure precincts that experienced delays can keep polls open longer or that sufficient emergency ballots are available. If you’re an election official in a state where some voting machines aren’t working, you should cooperate with efforts to keep the polls open late so everyone has a chance to vote. If machines are not working properly, allow voters to use emergency ballots. If machines are not readily rebooted or recalibrated, call for delivery of sufficient emergency ballots. Do not attempt major repairs on Election Day or ask voters to wait more than a few minutes before offering them emergency ballots. Keep any emergency ballots in a secure location. Keep in mind that emergency ballots must be handled differently than provisional ballots and are always counted. Use of emergency ballots helps ensure that voters are not disenfranchised due to equipment problems. Some ordinary malfunctions can be addressed on Election Day. Machines can be rebooted or recalibrated if the touch screen appears to be off. Other small fixes are possible. Larger fixes should not be attempted on Election Day, however. There is only one remedy for a potentially hacked or seriously malfunctioning voting system: a paper-based risk limiting audit or a full or partial recount. What is not acceptable when a voting system is acting suspiciously is a phony “machine recount.” This is when the system is just instructed to recount the electronic data. While some officials have called this a “recount,” it’s not, since it will just replicate the problem. Insist that your election officials, up to and including your Secretary of State, conduct a real hand recount of the paper records when they are available. If you’re an election official: pull any machine that is acting strangely out of service and offer emergency ballots. And remember, machine recounts are not recounts. They just replicate whatever problem occurred in the first place. Recounting the paper is the only real recount. Some states continue to use voting machines that don’t provide a voter verified paper record. If there is credible evidence that voting machines have been hacked or are malfunctioning in such a state, the state should pursue (or at least allow) a forensic analysis of all potentially affected machines looking for signs of malware or tampering at all stages of the electoral process. 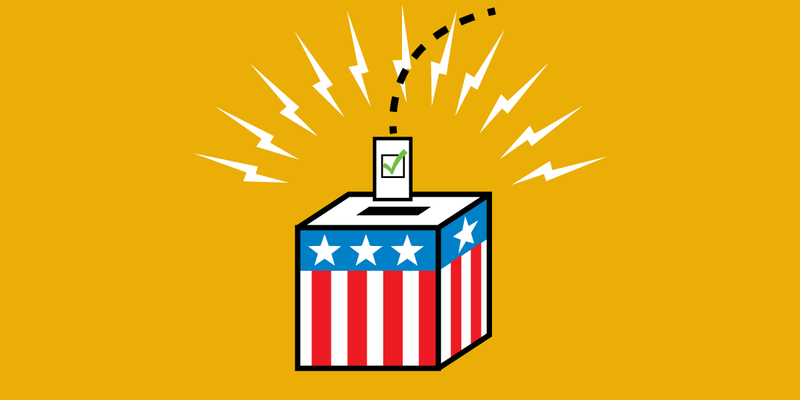 If you’re an election official: Preserve evidence (voting machines, SD cards or USB drives, any ballot creation software and computers used to provision the voting machines). Keep machines powered on and disconnected from cellular modems or the Internet to preserve the contents of their RAM as much as possible. While this forensic investigation could turn up something, the fact that it doesn’t is not conclusive. That’s because many kinds of malware can clean up after themselves. This is why it is so critical to ensure that all elections include voter verified paper trails. Ask your state Secretary of State to ensure the next election includes paper trails and ask your senators to support the PAVE Act. As should be clear by now, these suggestions are simply Election Day triage. They may help in some situations, but may not in many more. The real pathway to securing our elections starts on November 7—when we have to begin to take election system security seriously and deploy voter verified paper ballots, risk limiting audits and an approach that ensures protections every step of the way from registration to the last vote count. Securing elections is a national security issue of the first order. It’s time we started treating it that way.